I hope you all had a fantastic, relaxing Easter. 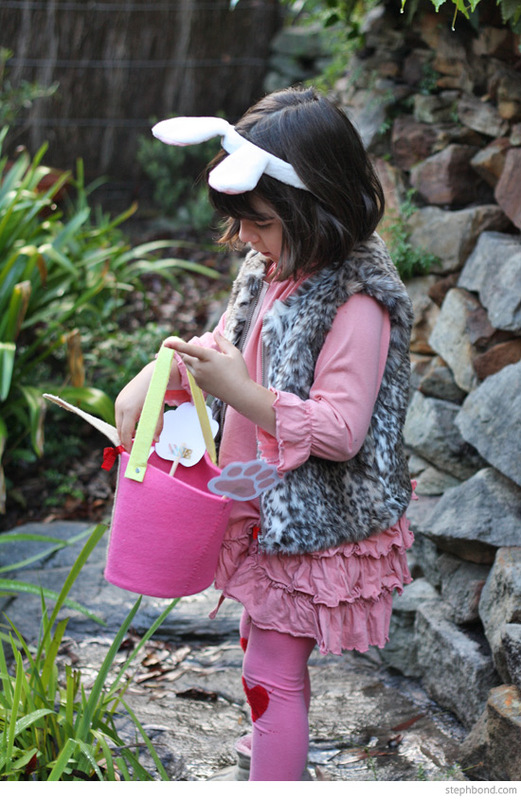 Our girls had a ball making their own hats for the Easter Hat Parade at school on Thursday, and then of course hunting for eggs on Sunday. I had a great, relaxing break spending time cuddled up on the couch with my loved ones in our new pyjamas (our Easter tradition) from eeni meeni miini moh and Four In The Bed, cleaning up around the house, trying out new bike paths, catching up with friends, making banana split sundaes, enjoying a special Passover Seder meal and trekking to the Royal Easter Show. 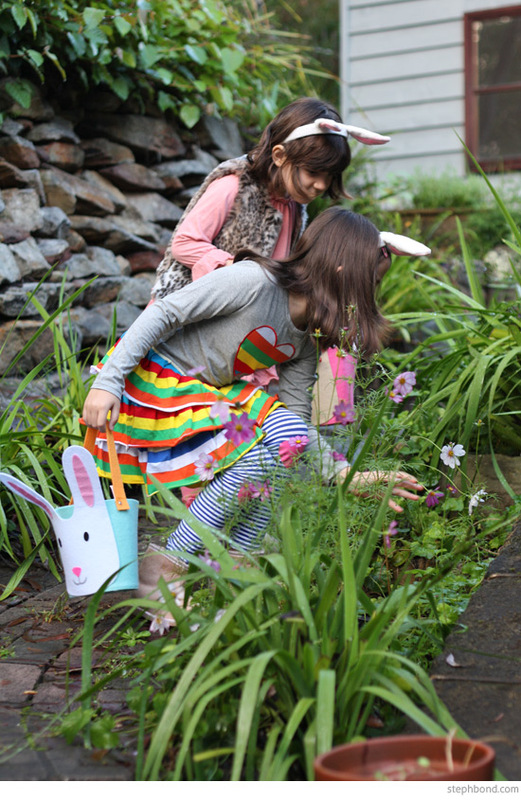 Here are a few shots from our Easter Egg hunt - so much excitement! Miss 5 wears: ruffle dress from eeni meeni miini moh, leggings patched with felt, vest from Target. 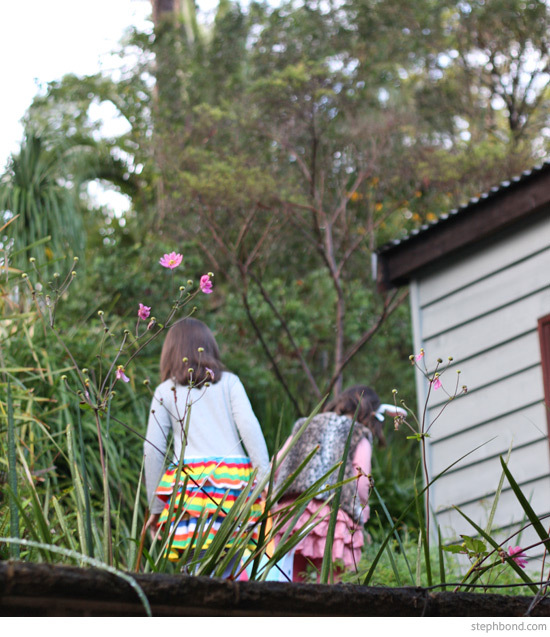 Miss 7 wears: ruffle dress and leggings from Hootkid and ugg boots of course! I hope your long weekend was just as relaxing and that you had time to stop and smell the roses with family and friends.